Tomorrow, crews will conduct a controlled burn on 60 acres in the upper Ashland watershed. All trails will be open. The controlled burn is near Corp Camp and Upper Missing Links trails area. After another long, difficult wildfire season, we heard many people and leaders asking to “make it better”. We’re in year eight of doing just that in the Ashland Forest Resiliency Stewardship Project (AFR). 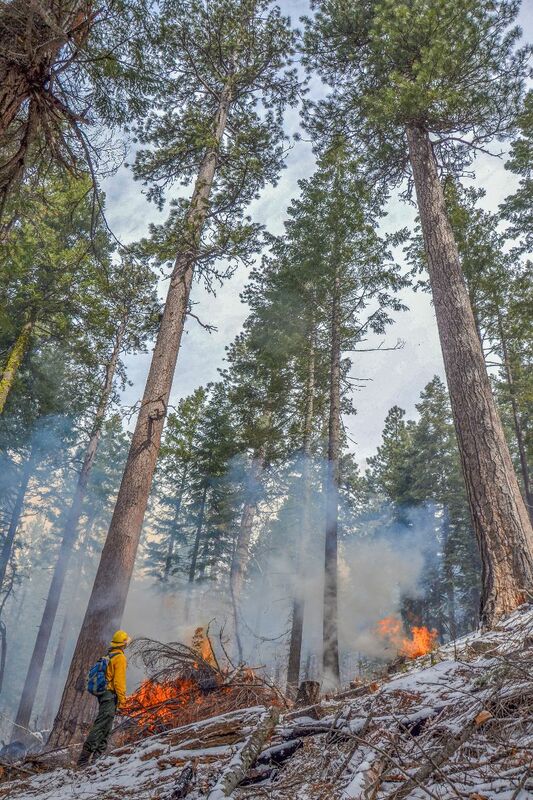 Scientists and forest managers agree that tree and brush thinning along with proactively using fire, limits wildfire intensity and protects communities. The preponderance of science points specifically to the need to proactively use fire to reduce fuels through controlled burns. Smoke is inevitable in Southern Oregon, but through active stewardship projects like AFR, we can choose the safest conditions for making smoke. Wildfires don’t leave us many good choices. Now that wetter weather is here, expect to see and occasionally smell smoke from controlled burns. We understand that some individuals are more sensitive to smoke, regardless of the source. Over the controlled burn season, we will send out notifications on all burn locations and any expected smoke that may periodically drift through town. If you’re smoke-sensitive, please follow health recommendations reviewed by Asante Ashland Community Hospital and Jackson County Health & Human Services to protect yourself and your family. For most situations during the burn season, that means temporarily staying inside and keeping windows closed overnight. Stay informed on our controlled burns by signing up for text alerts, emails, or social media. You won’t receive further messages about burning unless you sign up or follow us. 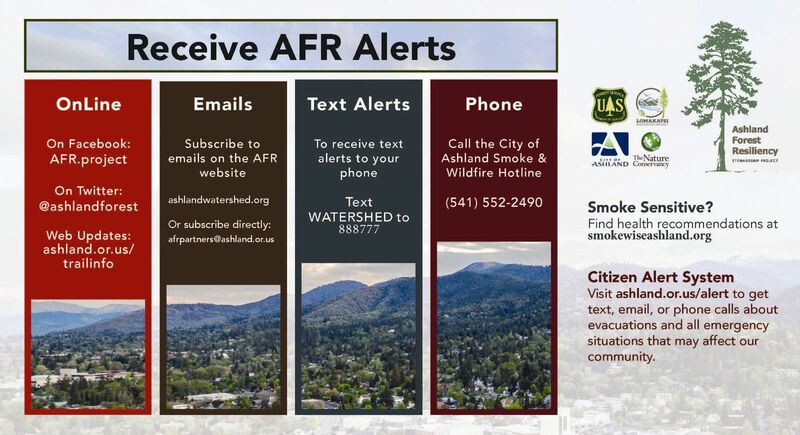 AFR Mobile Alerts: Text the word WATERSHED in the message line to 888777 as the recipient.